Human Resources (HR) department are constantly evolving to give company the competitive edge in the managing a company’s greatest asset - employees. Successful organisations often adopt a certain trend to stay ahead of others and to remain relevant by integrating the latest technology in driving results and efficiency in daily HR processes. Those that have not adopted such trends are trailing behind in human capital management and before they know it, they are losing out talents that could drive the company to greater heights. Traditional human capital management are phasing out with increasing researches and tools to enhance HR processes. It also enables huge data collection and scientific analysis to define employees’ experiences in a company. Download HR Trends and Statistic You Need to Know in 2018 to stay ahead of the competition. How many current trends and statistics do you think that you might have missed out ? Gone were the days of manual labour such as filling claims and application. The era of pen and papers was, in fact, effortlessly replaced by digital advancement in a very fast pace. Conglomerates and huge companies were fast to bank in on integrated digital technology into HR functions to yield better efficiency in talent and project management as well as to achieve favourable business outcomes and drive organisational change. For example, filling an expenses and benefit claim no longer needs to have it delivered to different departments for approval when one can do it through HR integrated digital system with minor resources involved. A survey done by PeopleStrong, an Indian HR Solutions company, had estimated that Indian enterprises can save at least USD $600mil annually by 2021 using HR technology. 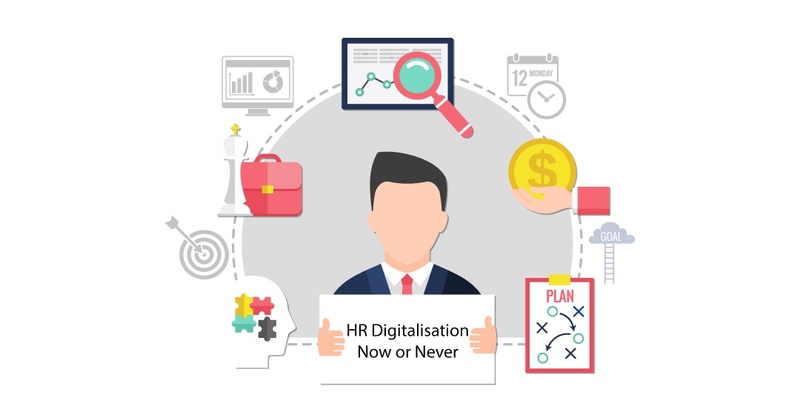 Similarly, those who have not use digital tools in HR are quick to realise the huge gap to those who had, in both delivering results as well as saving unnecessary expenses. 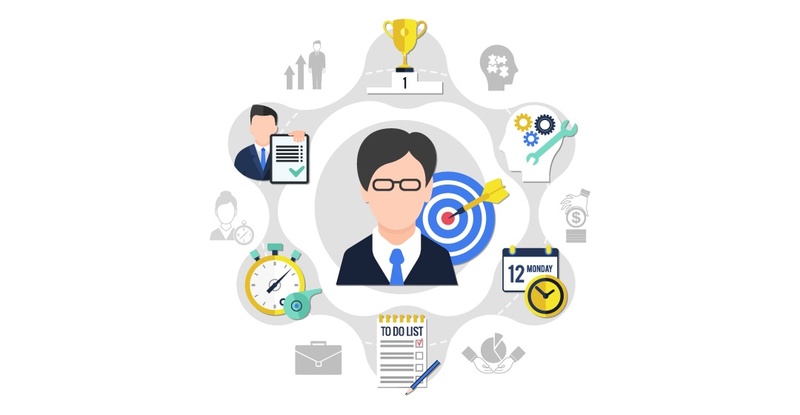 Managing talent benefits, recruitment, records management, training, and recognition often comes with a whole lot of document-driven processes and inter-departmental work. Companies are shifting from executing tedious administrative tasks that reduces productivity to HR processes automation which deliver similar results more systematically and efficiently. It had become a norm that will soon replaces all manual task, so why bother with endless HR processes that could be replaced with automation? Start Incorporating automation in HR processes, the results might surprise you! Efficiency aside, the idea of digitalising HR tool is bringing convenience to employees by enabling users to access any tools anytime, anywhere you want. Hence, the availability of the digital tools are not enough, but it can further be enhanced with smart phone applications. Applications had totally changed the landscape in businesses and services, as well as in-house data accessibility through Smart phones. Urgent matters that need attention can be easily addressed by an application built to cater one’s company specific needs.Be it approval of employees Visa on an oversea assignment or insurance claims, all these can be easily be done through applications. One fine example is Singapore-based OCBC Bank which had recently developed “HR in Your Pocket”, an application that give employees the convenience to submit claims, leave, tracks medical benefits and more. It also features a chatbot to answers question, further enhancing users’ experience. Cloud based HR application and Internet of Things (IoT) are increasing and this trend is likely to continue in 2018. Ericsson’s former CEO Hans Vestburg said in a presentation to shareholders that there will be about 50 billion devices connected to IoT by 2020. It helps in data management and enhances visibility among employees. Iot also provide fairly wide usage, such as monitoring compliance risk, identifying fraud and disruptive employees behaviour. the data analytics provided by IoT enables HR to track employees easily and identify risky conduct of employees so that swift measures could be taken to address the problems. The traditional approach on employees’ engagement no longer works as effectively as the multi-generational workplace requires a more thorough understanding into employees’ needs and wants in their career. This is vital to stimulate growth in their performances and well-being. 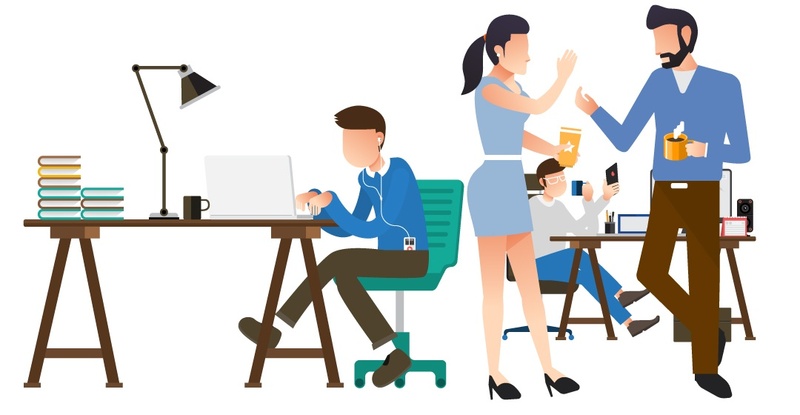 The millennial especially, view workplace cultural and enjoyable work experience as vital in staying in the company while the Gen X probably wished for stability in job and some were even reluctant to change. HR analytics is considered a must-have in companies. Traditional employees tracking are now deemed insufficient to understand employees’ behaviour and movement. More and more companies are seeking in-depth data to further manage employees effectively. For example, questions like what is the retention rate, would employees resign in a year, which employees are high performers, needs to be answered by results projected through a combination of data. These analytic trends will show the current situation of the company and HR can address the problems effectively. A diverse background in employees is believed to perform better compared to a homogenous organisation. It also reflected on the company’s inclusion of different background thus attracting a mix of talent. This is also why some companies adopt blind hiring, one of the ways to achieve unbiased hiring process. Being able to work at home opens up to a larger pool of talents who might have commitment constraints and mobility limitations. Result oriented employers soon to realise there is no need for employees to ”show their face” in the office as long as employees deliver results. In fact, the 21st century workers view working remotely at home as one of the benefits that boost employees’ morale and satisfaction. A survey showed that 9 million employees in the US worked from home at least half of the time the past year, a staggering 115% increase since 2005. From the perspective of local landscape, findings from Boston Consulting Group (BCG) in “Unlocking Cities” showed that people living in Kuala Lumpur spent about 53 minutes stuck in traffic jams every day, that's 13.4 days a year. So, why waste time travelling to work while one can work from home? With digital conveniences such as video conferencing and cloud-based storage system where anyone can access it everywhere, it makes it easier for employers to facilitate remote teams. Adding fun and “gamify” HR processes can repackage what seemed to be a dull subject into something exciting and drive employees. For example, some companies offer point rewards to overachievers and diligent employees to purchase electronic gadgets that are related to their work or leisure. This helps them gain satisfaction and feel appreciated at work, and is likely to be loyal to the company. A study by Willis Towers Watson a leading global advisory, broking and solutions company, showed that employers are looking to expanding a new sets of benefits for employees. 65% of employers plan to implement activity-based well-being programs, followed by behavioural and emotional health (54%). More than 25% employers plan to implement programs that enhance financial security for their employees while 38% plans to extend the benefits to family friendly programs, such as additional maternity leave. The Fourth Industrial Revolution has shown us the endless possibility that could be created by artificial intelligence and soon, such advancement can be introduced in HR. Ongoing development on AI tech had begun and more are being done to incorporate AI applications in myriads of HR functions. The quantitative approach to various processes will soon be replaced with pre-programme AI functions that eliminate the need of manual labour in the near future. The emergence of Virtual reality (VR) and augmented reality (AR) can help employers in recruitment and training. For example, it can be used to help new recruit understand their new job scope or staff to undergo training in complex procedures. A virtual reality simulation not only taught users about risk management in certain task but also enables users to gain understanding of their work. Companies should consider Investing in VR and AR unit to create realistic experiences for employees. A Survey showed that 73% of the millennials found their last position through a social media site. Another survey indicated 73% of candidates are passive job seekers. Profiles like LinkedIn connect job seekers to recruiting employers and talent hunters in identifying the right talent for specific job scope. The data in social media websites make it easier for companies to source for the right talents. Understanding the available resources around gives any HR department the additional edge in managing talent. Download this HR Trends and Analytics 2018 that you won't want to miss out.